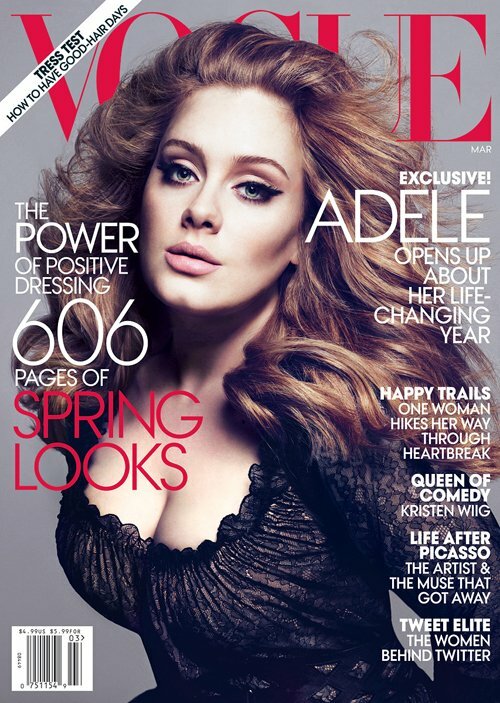 Adele Covers Vogue March 2012. Adele Covers Vogue March 2012. Wallpaper and background images in the Adele club tagged: adele 2012 vogue magazine photoshoot cover. This Adele photo contains porträt, kopfbild, nahaufnahme, portrait, headshot, and kopfschuss. There might also be anime, comic, manga, cartoon, comic buch, karikatur, and comics.